I know Throwback Thursday is more of a Facebook thing, and not something I normally partake in, but this morning I have to do my 1st opening at the store I'm working at PT and I was feeling a little nostalgic. 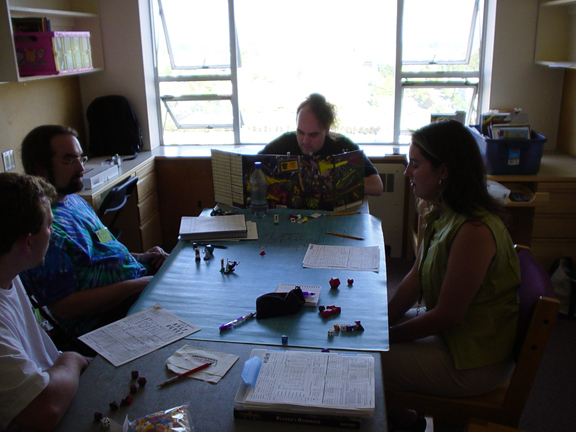 Back in 2003 the Mrs. and I were set to attend the Dragonflight convention in Seattle. It was our 1st Anniversary and attending the con was actually a cheap way for us to also visit the city. 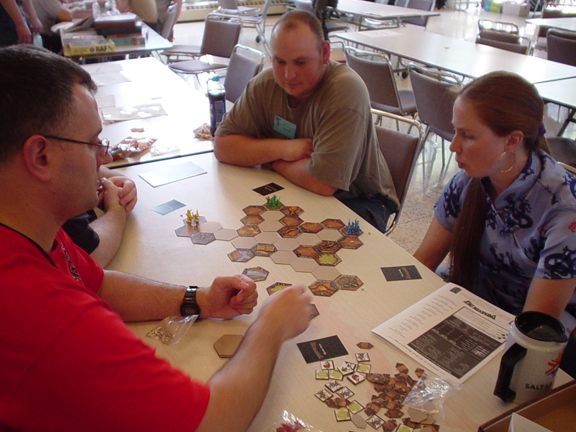 We had some specific game plans that got a bit thwarted when the guy who was running KenzerCo game demos backed out. Stupid me.....I stepped in to run the demos in addition to the games we already had scheduled. 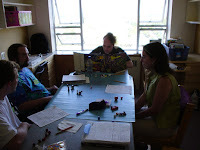 Dragonflight was held at an old Jesuit university and had a few holdovers from the old days. Lodging was pretty cheap and in the university's dorms. They made us "prove" we were married before they'd let the wife and I share a room. Matching names on our driver's licenses could have meant we were brother & sister, and that wouldn't be enough to let us share a room! 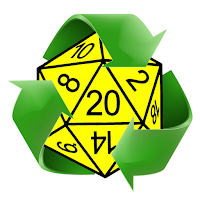 We got to play in a couple of HackMaster games on Saturday with married PCs that managed to game off and on with each other for years. We had a great time and one of the other players gave me a copy of HackJournal #1, which is a treasured part of my collection. 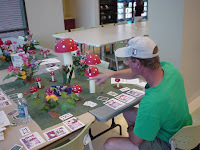 The primary demo focus was on KenzerCo's "new" game Fairy Meat, which was a fun little fae miniature wargame. The best part, for me, was coming up with the terrain to play with. I had two table setups, but the most we ever got were a couple of players at one table. 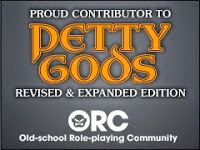 Still, it was a fun spin on a wargame. The other game we demoed was Dwarven Dig. I'm pretty sure the game is still in print, not just from KenzerCo. The game was pretty decent, not sure if it was worth the price that KenzerCo had it at. IIRC the game was remade with much cheaper components....not up to KenzerCo's quality, but a lot lighter and easier on the wallet. Dragonflight was a pretty cool con. Affordable, and all about gaming. There wasn't a bunch of non-gaming things, aside from the allure of Seattle, to draw folks away from getting their game on.